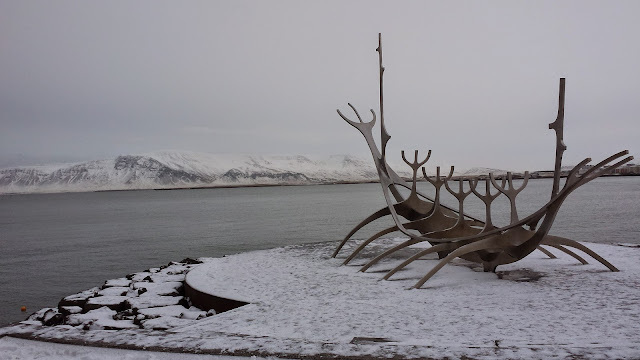 I was in Reykjavik at the end of January and as you can imagine, it was cold. It was only a little colder than Dublin but it's the wind that gets you. Going out without a hat and gloves was not an option. I knew Iceland was going to be expensive. I had been under the impression that beer was especially expensive and I could be paying €12 or more but in reality, it was half that for the most part. Don't get me wrong, it's still expensive but €6 isn't bad for a pint of beer by Dublin standards. They have happy hours in most bars. I only experienced this in one location and theirs was buy one, get one free for a couple of hours. On arrival, we headed out to lunch and came across this absolute gem. Yes, that's the Chuck Norris bar and grill. It is a little piece of awesome in Reykjavik. 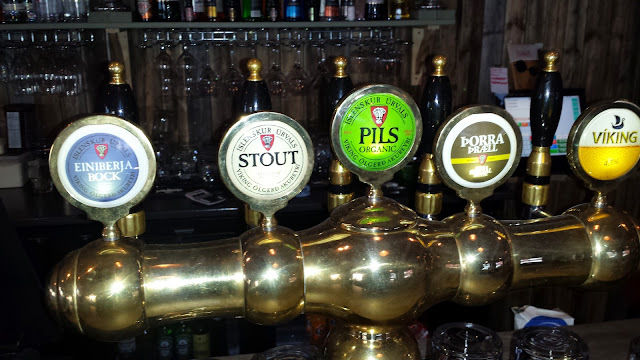 Beer wise, they only had to versions of Viking pils which is OK. 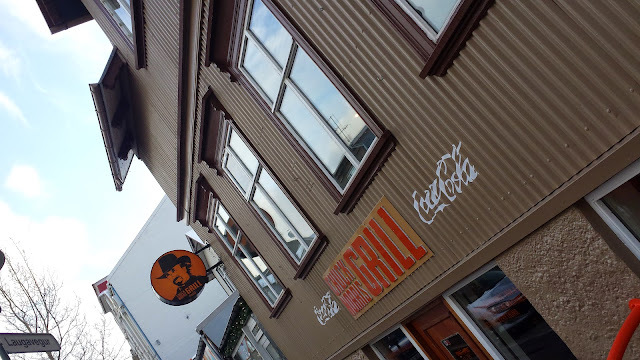 It was my first beer in Iceland but we were there for food and I had possibly the best pulled pork sandwich and possibly the best fries I have ever tasted. Lunch for 2 with a glass of beer each was about €42 or so. Expensive but not overly so. The same thing in Dublin would have been just under €30 I reckon. Unfortunately, this was the best value meal we had during our stay. One of the best beers of the trip was Viking Íslenskur Úrvals Stout. I had many pints of this. It was very tasty. A big stout with lots of coffee and caramel along with rich chocolate. There's an almost chocolate syrup finish balancing the intense bitterness. It was also 5.8% and that was just the right ABV for that kind of weather. They also had a juniper-berry bock, a sweet and caramel based bock with crisp lager bite. Some fruit but not much. It's a nice beer but I stuck with my stout. Found some great graffiti at an underpass. This long wall, and more that's not in frame, was covered in symbols. 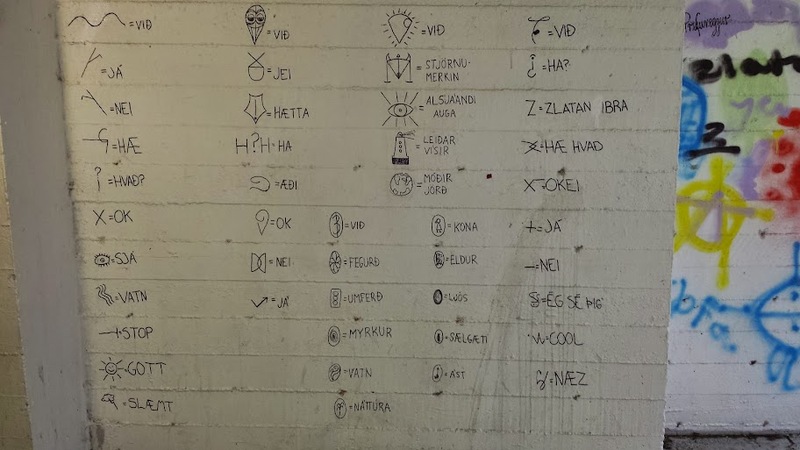 This was some sort of code and there was a wall with a translation matrix so you could in theory translate all of these symbols. I imagine it would take many hours and you would probably be disappointed at the end. You can get Einstök beer in Ireland for the last few years. I once had the whole range in a bag, handed it to my partner, who assured me she had it and it promptly fell to the ground as soon as I let go. All bottles smashed as I looked in disbelief, wondering what she thought she had a hold of? 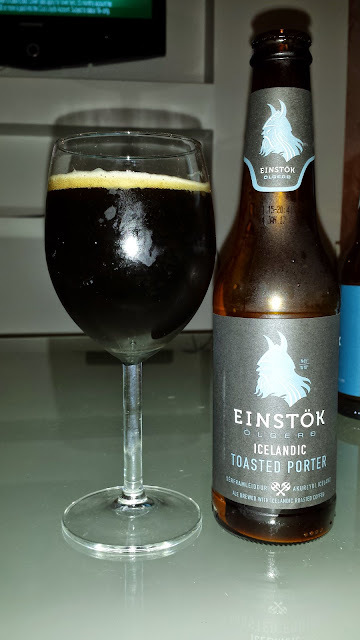 Anyway, what better place to try Einstök than in Iceland? The toasted porter is 6% and I found it a little metallic but with lots of coffee but also sweet toffee. It's nice but a little underwhelming. That said, I suspect another bottle might be better. 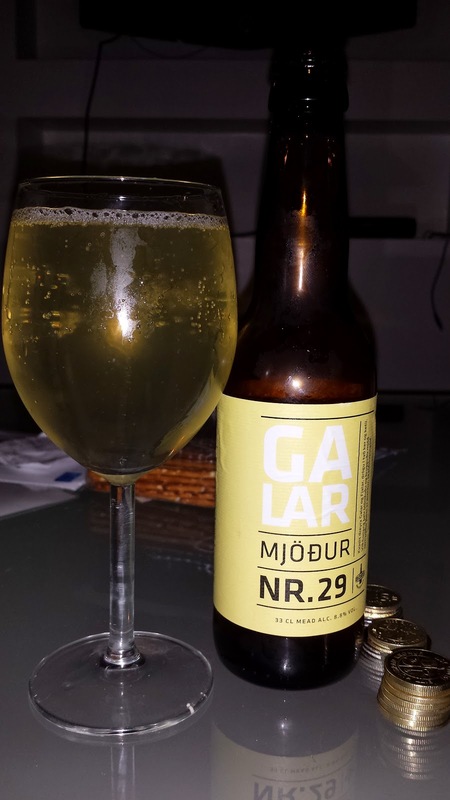 Three beers from the Borg Brugghús, starting with Galar Nr. 29 Mjödur is an 8.8 mead ale. I wasn't paying attention when I bought it and regretted it as soon as I realised. I opened it anyway, maybe it will not be so bad? No such luck, a bizarre aroma hit me. I then tasted it. Honey, spices, herbs, a sort of cross between aniseed mouthwash and honey. Meh... it went down the sink. This is not my kind of beer. 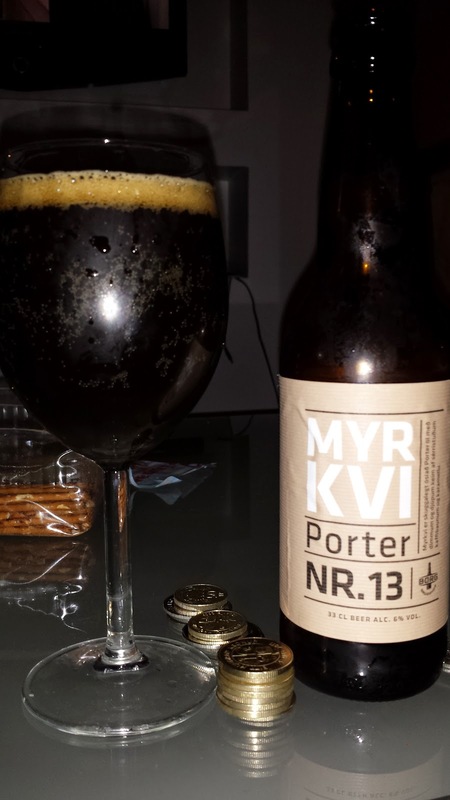 Myrkvi Nr. 13 Porter is another 6% porter but pretty different. It's very much like a milk stout. Incredibly sweet with no real bitterness. Good beer but a little on the sweet side for my taste. Garūn Nr. 19 Icelandic stout on the other hand was a little bit more up my alley. This one is a whopping 11.5% and it's pretty wow. Massive chocolate and caramel body. Not much coffee but plenty of molasses and enough bitterness to keep it from becoming cloying. 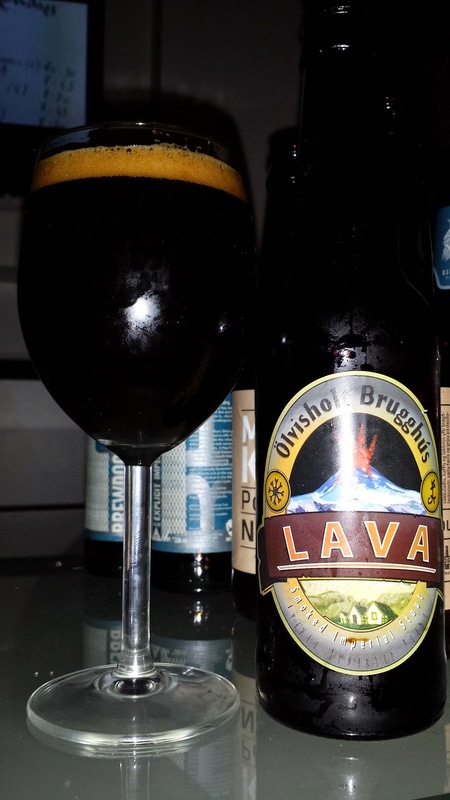 And finally, from Ölvisholt Brugghús we have Ölvisholt Lava. This is a 9.4% smoked imperial stout. It's pretty smokey too. I thought it was perhaps a little on the fizzy side. Lots of dark chocolate here along with a little coffee. It's a little bitter but no hops aroma or flavours that I could detect. A very tasty beer. I had some other beer during the trip of course, but this is what stood out for me. 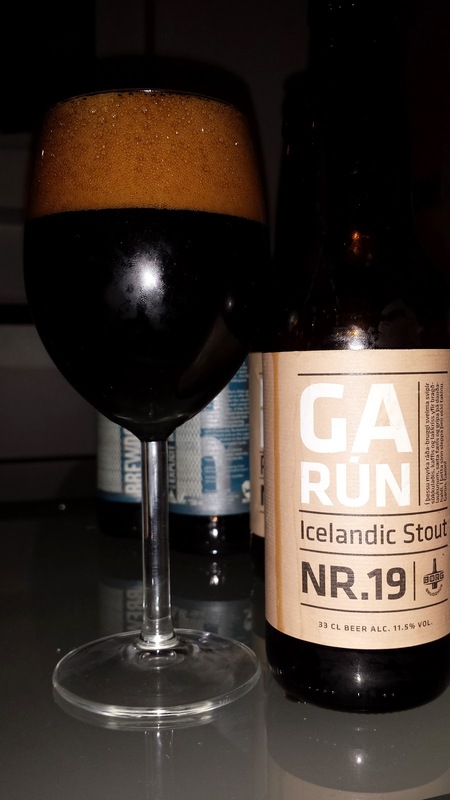 I can't say that Iceland is a beer destination, far from it. However, when you find yourself in Iceland, you can be sure that you will have little trouble finding some locally brewed beer.